Year 2016 ended on a sad note for Punjabi Film and music Industry. The multi talented person of Punjabi film industry, Raj Brar died of cardiac arrest at GMCH- 32 (Government Medical College and Hospital) Chandigarh. Brar was battling with alcoholism and liver problem from some days. On the last day of the Year his situation got critical, after which he was admitted to GMCH 32, where he took his last breath. Raj Brar was a great singer, lyricist and actor. 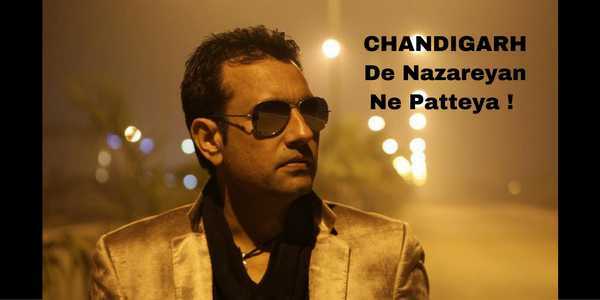 The most famous song that went viral was ‘Chandigarh de nazareyan ne patya’ from the album Rebirth, that was released in year 2008. Although Raj Brar was a big name in Punjabi Film Industry because of his lyrics. But after the release of his album ‘Rebirth’ in 2008 specially with the song ‘Chandigarh de nazaareyan ne patya’ he rocked not only Chandigarh but every Punjabi’s heart. He has written the song and he himself sang the song along with Yo Yo Honey Singh. And really it is a fantastic song that has a perfect blend of lyrics, music and a mesmerizing voice of Mr. Brar. The album ‘Rebirth’ became a huge hit in the year 2008. Raj Brar was born on 3rd January 1972 at Malke village of Moga district. He was active in the music industry since 1992 and he has given lyrics for many songs, sung by various singers of Punjabi Industry like Kuldeep Manak, Labh Janjhua, Surjit Bindrakhia, Harbhajan Mann, Sardool Sikander, Amrinder Gill and much more. He even made his acting debut in the year 1990 with the film ‘Jawani Zindabad’. He also played a role in the movie ‘Police in Pollywood’ in 2014. Raj Brar has also introduced many lyricists like Lakhwinder Mann, Kuldeep Malke, Bhinde Shah, Gurvinder Brar and Jarnail Chak Hajipur. He also has many hit songs like Sarkaar, Sarpanch, Saheli, Jann Meriye and much more.